IMPORTANT: This library is not longer maintained any more. Please instead of this library install Industrial Shields Arduino IDE boards integration. 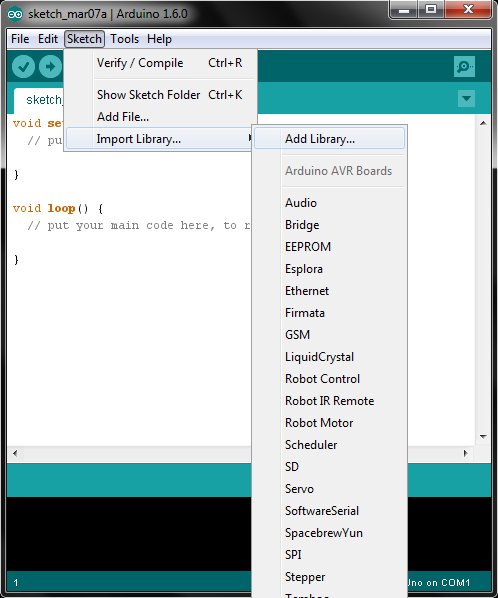 There is two ways to include the Industrial Shields library in the Arduino IDE. How to use the Industrial Shields library in the Arduino IDE: (NOTE: This example also works for any other library you want to charge on the Arduino IDE). 1. Download the original IndustrialShields library from GitHub. After that download the zip file on your desktop. 2. Add the library on the Arduino IDE. 3. Now you can open an example to start to programm a PLC. It is not necessary to use the Industrial Shields library to program the Arduino Based PLCs because of all PLCs use an Original Arduino board inside.